Art Therapy Groups typically run 60-75 minutes in length, include 10 or fewer members, and take place in the Group Therapy Room at Radical Healing. The Art Therapy Group is intended to serve as a safe space where clients (group members) can give and receive support, and share in healing together. My Group Art Therapy sessions are typically designed around a specific theme. Challenging cis-normative, patriarchal, and Eurocentric ideas that dictate how we relate to food and our bodies! In this group, we relearned how to connect with our hunger and satiety cues, explored how our histories with food and diet have led to current behaviors and beliefs, and harnessed the collective energy of the group to move toward a place of deeper self-compassion and true self-care. 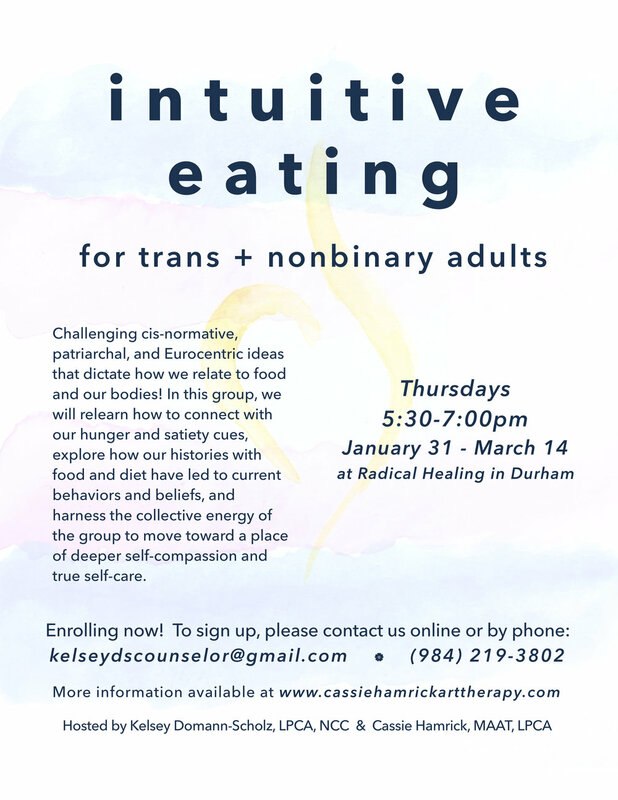 Hosted by Kelsey Domann-Scholz, LPCA, NCC and Cassie Hamrick, MAAT, LPCA at Radical Healing in Durham. 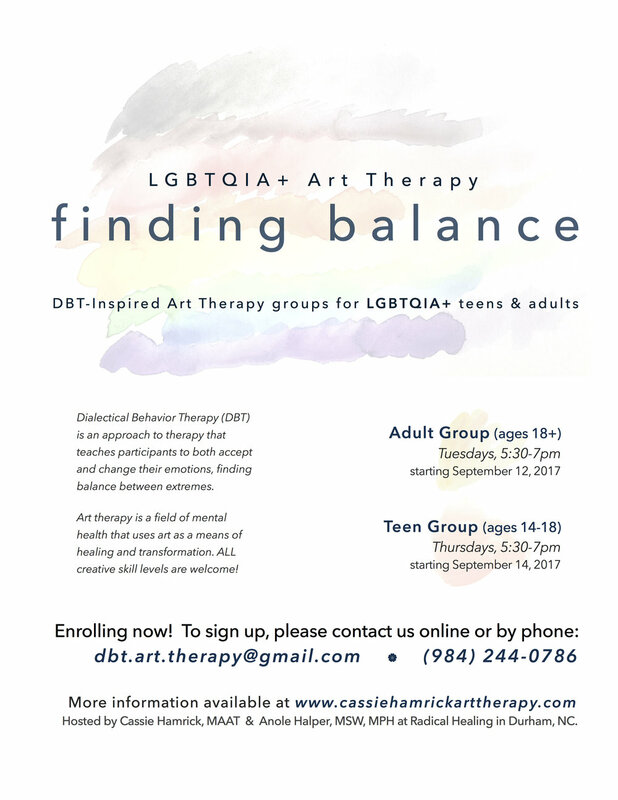 Finding Balance was a series of DBT-inspired art therapy groups for LGBTQIA+ teens and adults. Groups took place throughout 2017-2018, and were co-facilitated by myself, Parker T. Hurley, PhD, LCSWA, and Anole Halper, MSW, MPH. For more information on existing DBT Groups at Radical Healing, please visit the Radical Healing website.